What's the story on Montgomery? Legit D1 prospect? But not coming in next year. I see what I missed. Not sure. Appears small but is doing good this weekend. The 03' camp roster is out, any local players to keep an eye on? From everything I’ve read on Kunz, We shouldn’t be worried because he’s got a lot of upside, right? Well you never know how kids develop from 14-18. He dominated bantams as a first year but he was also a very old first year. He’s a big kid with skill. Those types of plays should continue to progress however he may struggle with the rest of the kids “catching up” from a maturity standpoint. Either way, he’s elite but after being cut from the development program we’ll have to see if he makes the all star team in this event. All things considered, this is only one week out of the year. 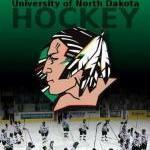 I thought Kunz was committed to UND. Undecided as far as next year only. A little correction to your post: He played 2 years of Bantams. His 1st year he was peewee eligible. His 2nd year he was a 1st year bantam age-wise. It was this year that he was up for Bantam Player of the Year. He was never "old" as a Bantam, he was always on the young side. This year at Red River, he was still eligible for Bantams. Doesn't turn 16 until August (I think). That being said, he has always been way more physically mature than anyone his age and most kids 2-3 years older than him all throughout association hockey. He is still a beast, but boys are closing the gap physically. He has alot of hockey in front of him prior to UND and will be just fine! Dont take my post as a knock at all, the kids elite playing against some of the best kids his age in the country. By “old” I meant he’s an August birthday and wasn’t a sophomore. The youth hockey landscape is changing where more focus is on birth year rather than what grade your in (this was the effect of all the AAA and select teams rising in popularity). You’re right though, a ton of Hockey in front of him. And thanks for the correction, I didn’t realize he had played a year of bantams prior to that big year he had. Kunz didn't make the All-Star game that will take place this morning. I'm definitely surprised, based on the reports out of the NTDP Camp earlier this summer, I would have thought he'd be one of the top handful of forwards this past week. Oh well, like was said, only one week. Montgomery made it though...one to keep an eye on. If kunz is going to shattuck I’m guessing he’s going too, as both are listed as undecided for next year. i agree with you though, shocking kunz didn’t make it. On the flip side, a ton of other kids had better production. His team wasn’t good though. Maybe it will put a bit of a chip on his shoulder--something to prove. It does that with some players. Just to clarify, even though I think we're on the same page, I'm shocked he didn't make it based on my expectations going into the week. Based strictly on his numbers this week, I would have been shocked if he did make the All-Star game. One thing I enjoy about the early recruiting in hockey is being able to track a recruits progress from year to year. These Development Camps definitely give you a great idea of how someone is tracking against his age group. The closer they get to their draft year / incoming college year, the more important they are (01 Camp > 02 Camp > 03 Camp). Bingo....I enjoy it as well. Probably should have been scout/analyst. my current job pays better though :). That can be the problem with early recruiting. Some kids are top kids in the country at 12-13 but other kids catch up after puberty. I expect Kunz is going through something like that now. He was always bigger than everyone so it made it a bit easier to dominate at younger ages. Now the kids he's playing against have had another year of growth/maturity. I expect Kunz to take another jump this year. The good players figure it out and continue to move up. Some don't though, you never know. Back to Kunz's week. He had 3 points in 4 games (tied for third on his team in scoring). That is not downright awful whatsoever. I actually thought he would sneak in based on known past talent. I mean, look at last week's select 17 camp. Three out of the top four scorers didn't make the final team....because I'm guessing the coaching staff kind of knew who they wanted. It has to be so hard to recruit kids that age. We all know kids that dominated their sport at 14, but by 18 their physical advantages are gone and they are average players.. Also, I see more and more kids that are completely polished at 14. They've had intense coaching since they were 3. Another 14 yr. old who has more natural talent may not touch the skates from the last game to the first practice. I'm always concerned that the polished physically mature young kids aren't going to improve as much from 14-18. Their relative physical advantages are only going to diminish, and they are already maxing out their talent. That's true, but then there are guys like ZPar, who was small, not the fastest skater, and with a good not not great shot. But he knew the game inside and out and had an on-ice intelligence that was outstanding. A lot of that no doubt came from his living hockey from birth and getting the best coaching along the way. And passion. I completely agree. That’s why it’s so hard. zPar was incredibly polished and he must have been at 14. Some pan out and some don’t. I suppose the coaches look at a young kid and if they think they can’t miss they offer. There’s just way more risk and unknowns. Anyone know anything about this kid? Love that he played with Weatherby. That is an interesting situation. He played 45 games in the WHL. The potential paradigm shift any rational fan wanted to see. Let's hope it's the new rule and not an exception. Impressive get, he should be a game ready player when he hits the ice. Didn’t Lee Goren play a game or two in the W and have to sit out his freshman season?